I decided to think back past some of the difficult times we've encountered this year to create a list of the Top 12 Moments of 2012. At first I could only come up with 6. That seemed kind of sad, so I thought some more until I came up with 15. I guess I could have kept going, but I decided to cap it there. Here goes. 15) My friend Yvette made me a new hat (November 2012). 14) Visiting Gutzville in July 2012 and again in December 2012. Good times with friends we don't get to see very often anymore, good food, good wine. 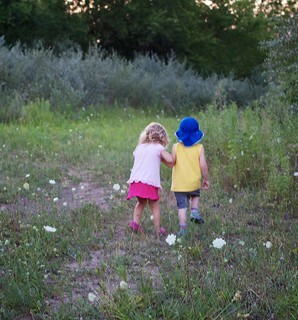 Reliving, just a little bit, those happy years I like to think of as the Salad Days. 13) My BFF of the last 4.6 billion years posting this on her blog (September 2012). Something I really needed to hear. 12) The Great De-Clutterization of December 2012. I hate clutter so much, that's why this project earns its own place in the Top Moments List. Right after Christmas, we went through nearly every nook and cranny of our house and sorted all of the junk we turned up into Throw Out, Recycle, Donate, or Save piles. We filled up the station wagon and took a giant load to the Goodwill. For about 2 brief, shining days (before clutter began to encroach again), every single remaining item in our house had its own place, and I knew exactly where everything was. I could breathe for the first time in 15 years. It was a wonderful feeling. An additional result of this de-clutterization process is that we uncovered several items that had been missing since we moved to St. Louis. These included: my engagement ring, my college and PhD diplomas, and my knitting needles. 11) Bivy's release on December 21, 2012. Maybe someday Rob will post about the incredible effort that writing this application required-- a superhuman effort might be a better way to describe it. He slept only 3-4 hours per night during the many weeks he spent working on it, and he ended up being the first developer to release an iOS client for Tent, the distributed social network (something you will probably all be hearing more about in the future). Unfortunately, Rob's push to develop Bivy also coincided with the final throes of my howler book chapter (see item #10 below), so the month of December was a very stressful month in our household indeed, as both of us were involved in full-time night jobs, in addition to our full-time day jobs, and William nearly became a feral child. It was a huge relief to me, and I suspect to Rob too (though he doesn't say much about it) when Bivy became publicly available on December 21st. Also, we had vegan tacos that night and the world didn't end. 10) The howler book chapter I've been dealing with for over a year and a half was finally accepted for publication (December 2012). Well, sort of, at least. More on that later, maybe. 9) Thanksgiving (November 2012). We didn't travel and instead, we actually had time to spend with each other. It was amazing-- about 3 whole days with less stress than I've had in the last 25 years of my life. 8) William's birthday (August 2012). 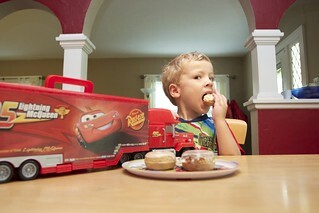 We didn't have a formal party per se, but we took a 3-day weekend and made it all about William. Presents, special treats, a Slip 'N Slide, lots and lots of fun. 7) Meeting Gloria Steinem (May 2012). I'm not sure what wave of feminism we're in now, but I'm still pretty damn inspired by the second one. 6) The Indigo Girls at The Pageant (July 2012). If I could go to an Indigo Girls concert every night, I would be a much happier person. 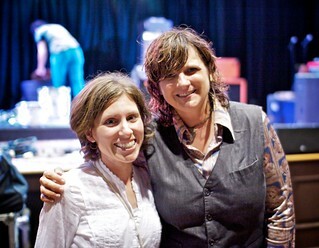 5) Meeting Amy Ray after seeing her show at the Old Rock House (May 2012). Sobbing incoherently and possibly passing out. 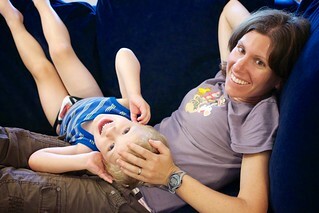 4) Cuddling with William (throughout the year). His major motive in life, for almost all of 2012, has been to Sleep In The Big Bed With Mommy. I don't care how overcrowded the bed becomes or how his snoring and thrashing keep me awake. I love it. I love holding him all night long and how when his eyes flutter open in the morning, he smiles and whispers, "I love you, Mommy." 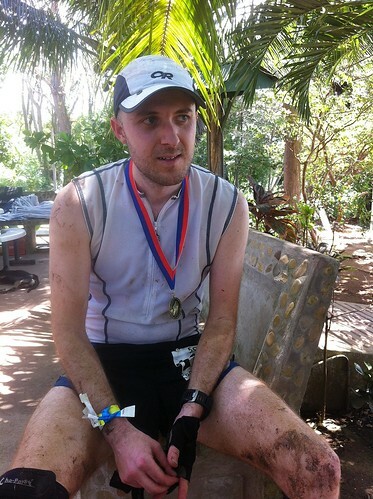 3) Running my very first ever Ultramarathon, Howl at the Moon (August 2012). Ticking off the miles with old friends. Hearing the Second Wind runners shout out "Buffalo!" as I crossed into Mile 30 and was officially in ultra marathon territory. 2) Farmdale (October 2012). All 7 hours and 19 minutes of it. Every angry raindrop. Every mudslide. Every fall on jagged rocks. Seeing Rob cross the finish line as the winner. Wondering if I was capable of going back out and running another 10 miles. Rob telling me that this was as hard as it got-- if I could do this, I could do anything. Finishing. Catharsis. 1) Fuego y Agua (February 2012). Running out to Porvenir and meeting Rob just as he began to ascend Maderas. 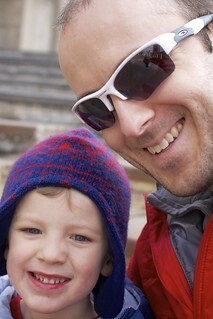 The way he was so calm and serene as I climbed with him for a little while. The look on his face when he crossed the finish line in Mérida. Seeing Eduardo all grown up at age 16. He has curly hair, and he stayed gold. Finding out that Simeon went up the volcano to look for Rob and make sure he was okay. I think about that, and it gets me every time.